This is 2014. 2014 is concluding. Another year in time is dawning. Christmas and New Year are just around the corner – just a few days away! While you are leaving on your well-earned holidays, thank you for finding time and sending me so many wishes and love from various parts of the world. I appreciate your time and sincere love for me. Life is all about expressing and experiencing multiple flavours in relationship. Relativity is equal to relationships in terrestrial terms. Hence, sharing time and nurturing relationships are the most beautiful flowers that bloom in this garden of life. A healthy life needs positivity. It is difficult to maintain positivity in this hypermarket of tragedies called the “modern world”. Tragedies sell. Media thrives on snuff stuff. More money is spent on weapons of mass destruction than preservation of what has survived our greed. Real awareness or unity consciousness is still not taking root which is the real human tragedy. We are still encouraging divisions based on religions, races and countries. The same God is put into various names, garbs and used to induce differences, displacements and wars. 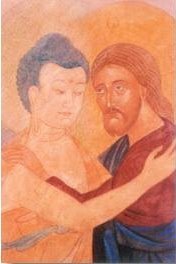 It is still your god and my god – not our God, ONE God. In the name of religion, people are killing children, women, men and animals. How can we have world peace when such ignorance is mounting day by day? Let us be deeply aware. But, let us also be optimistic. Peace is only possible with true awareness. Let brightness of wisdom illumine us. 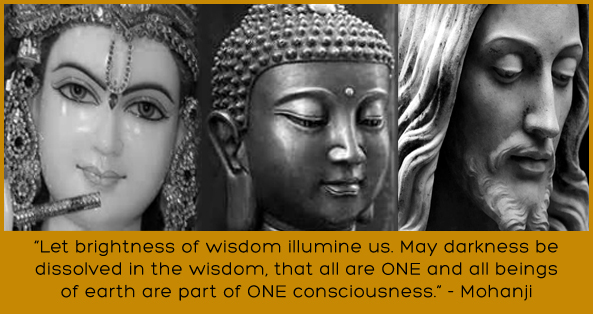 May darkness be dissolved in the wisdom, that all are one and all beings of earth are part of one consciousness. 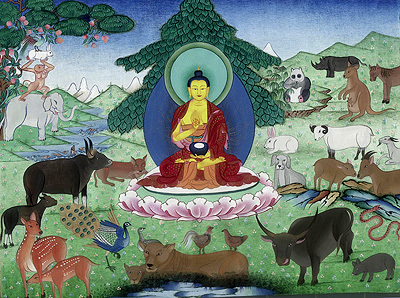 All are beings and all they need is LOVE. The world order is bound to change. It should happen sooner than later. Much destruction can be expected. Yet, we should sincerely hope that it would not take much destruction before the change over takes place. Peace must happen. Peace must prevail in individual minds as well as the mind of the society. We have been trained to be normal. Normal in social terms is average. Our psychology is based on average social human behavioural patterns. Anything that is not average is abnormal. Abnormal is considered as weird and something that needs special attention. This discrimination has made our “scientific generation” grossly average. Society is programmed to support “normal” beings. Hence, average beings are the rulers, law makers and those who enforce laws. Their vision is grossly two dimensional. The “allowed” is the average. Being average also means carriers of social emotions. Social emotions can create wars and divisions. And “normal” also means you need to possess the socially accepted fears, concerns and problems. We are grooming our children to be “normal”. Our society and educational system has systematically crushed many original thinkers, geniuses and those who had the potential to change the way we see the world to average “harmless” human beings. Non-conformists are branded as eccentrics. We should not allow this to happen to our children. Allow them to be natural. 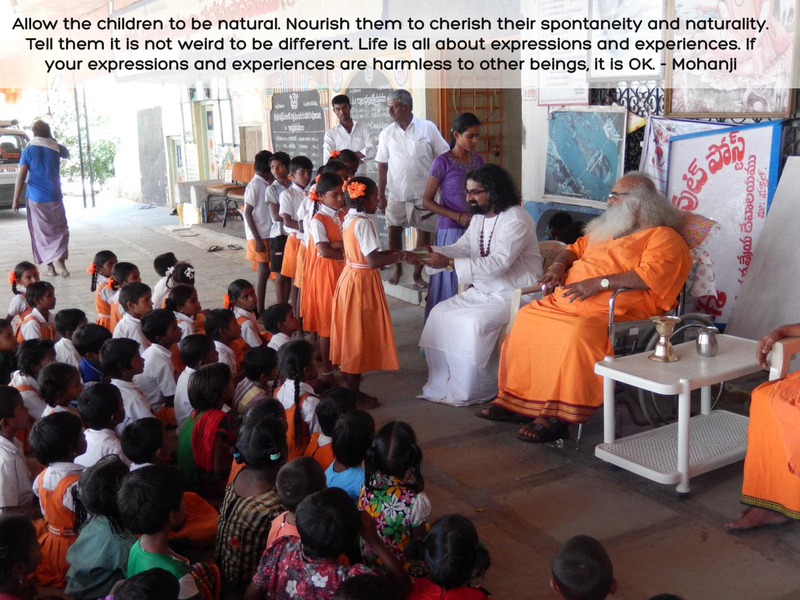 Nourish them to cherish their spontaneity and naturality. Tell them it is not weird to be different. Life is all about expressions and experiences. If your expressions and experiences are harmless to other beings, it is OK. The trained conformists may or may not appreciate them, but, tell them it is OK to be different. It is OK to walk your own path. Non-conformity is not a crime. It is your freedom. Remember, this “average-hood” that the “normal” enforces has created much inequality within the society. It has minimalized or even nullified species equality. Do we know or care about the suffering of animals and birds in our society? It has sponsored human supremacy and religion based separation. This means it has consistently sponsored injustice. It always protected the rich and the powerful. It supports “might” in disguise and the weaker strata of the society are always kept poor and wanting. Let us look at life with optimism. Awareness is growing. Silence is taking deeper roots in many minds and many pockets. Many people are doing whatever they can to make their neighbourhood a bit healthier, lively and comfortable which are positive outlooks of life. The non-violence in expressions always leaves a residue fragrance of goodness behind. When you touch the lives of those who are not part of your life, unconditionally, you become rich inside. Just as all people strive hard to stay rich, once you are rich inside, you will do your best to stay rich inside. See the good in people. Nurture the good in people. Remain selfless against all odds and pressures of the society. Nurture love and kindness. Leave the residue of compassion through your thoughts, words and action spontaneously. One positive action could lead to a positive movement. This is what all great masters lived for. This is what Jesus, Buddha and Krishna appeared for. They lived their lives in Freedom. Freedom is our choice. It has nothing to do with people, places, time or situations. Freedom is an internal thing. If you are free inside, you will float through life. If you are free inside, it will show. Freedom is also associated with inner richness. Inner richness makes you free and freedom leaves you rich inside. When we are bound by concepts, we will only see differences. When we are liberated through freedom, we only see oneness and love everywhere. Unconditional Love! This leaves us totally free. Fears bind us to earthly cycle of birth and death. Seven billion people are walking this slender earth with heavy hearts filled with concepts, refusing to experience, let alone enjoy the freedom of liberated existence. There is only one choice to make in life. Only one choice which really matters! The choice is between freedom and binding. To be free or to be bound! And remember, this has nothing to do with any religion, master, guru, book or philosophy. It has to do with you. Only You! You choose to be bound by your fears and concepts or be free from all bindings and start enjoying the terrestrial experiences like a small child who sees the world with the eyes of wonder. So, liberation is not a thing that you need to achieve through a person or a practice. It is your very nature. It is the choice that you make. In this context, I would like to tell you one more important factor. You cannot approach your freedom selfishly. “I need to be free but I do not care if others stay bound.” This is the wrong attitude primarily because if the whole society is blind and you are painting a beautiful picture, who will appreciate it or gain experience from your expression? Secondly, even if you are free from inside, but you are living in a society that cannot understand your state, what is the use? They will never let you express your state of liberation by considering you as weird or an eccentric or on extreme cases, even assassinate you from existence. They may bind you or even crucify you for being original. So, if you have seen light, it is your duty to guide others to light, in your own way. You need not become a guru for that. Your inner guru will shine forth spontaneously, without any effort from you. You could show light to people through your expressions and actions. You could make a difference around you through your expressions of compassion, kindness and love. The expressions of liberation are sufficient for bringing a positive difference in the world around you. You belong to the world around you, primarily. Freedom means free from fears too. When you are free from inside, everything amounts to freedom. A birth, a death, and all things in-between amount to another aspect of inner freedom. If you gain or lose, it is the same because everything is dimension of inner freedom. Nothing stays forever on earth. Change is the only permanent thing on earth. So, when we travel with the wings of freedom, the changes of life are just passing locations of transit. People, places, time and things change. Nothing stays. There is nothing to hold on to which is worth it, except your inner freedom. And once achieved, inner freedom spontaneously stays. We will always stay rich inside. And it will never be affected by the passing emotions or karmic agendas. 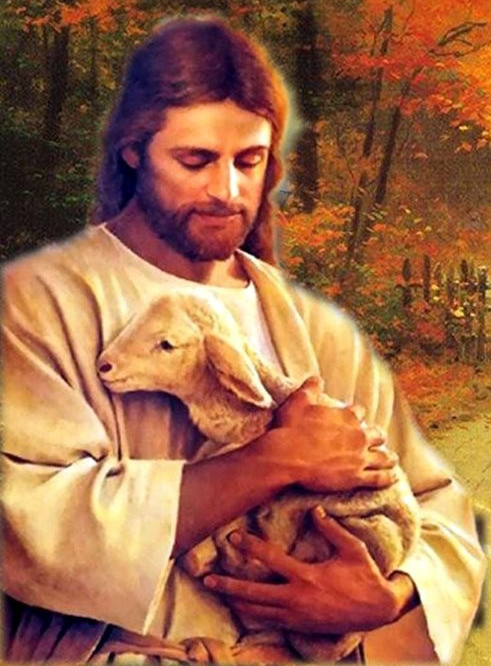 Great Masters have been great shepherds and cowherds. 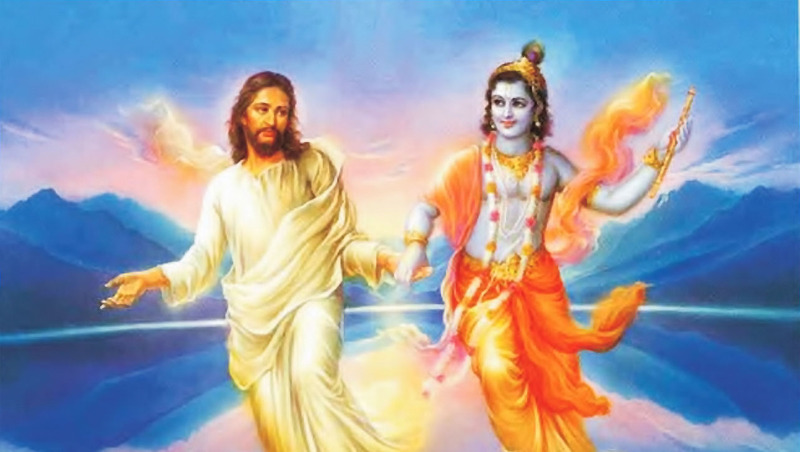 Why did Krishna, Baba and Jesus spend so much time with various sentient beings, rather than human beings? All beings have the same soul. 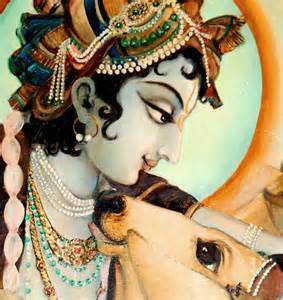 All beings are expressions of the same God. All are same on earth. For a liberated being, there cannot be any difference between species. We CANNOT kill another being. We SHOULD NOT kill any being due to any reason. If we are superior beings due to our intellect, we should express the godliness within us. We should express compassion and kindness without discrimination of species. We should care and it should show. Do please use the time that we use in abandon over silly matters and soap operas of life for the protection and care of other beings of earth. Help prevent killing of any kind and spread peace and non-violence purposefully, spontaneously. We have NO right to kill another being, even for the sake of our palette or conditioned existence. So, my message for you, as you take off on holidays, is that – do what you can for the world, the environment, the nature, and the beings of the nature. Help them to feel love and kindness capable of expressing by human beings. Most of our fellow sentient beings love unconditionally and never complain if they do not get that back in return. Every bird and animal out there responds well to love. They feel fear too. There is huge anarchy and bloodshed happening out there in various corners of the world towards humans and beings of other species. Only one thing can heal the world – AWARENESS. Awareness is what we should give to the world. Shower the world with higher awareness which amounts to non-violence, kindness, compassion and peace. Awareness leads to all that. If you take one decision, that to be free from inside, not to be bound by any emotions, people, places or time, express that resolution in terms of unconditional love, kindness and compassion towards the world and all its beings. Do not see the differences in gender, class, race or species. Differences mean ignorance. Differences mean non-understanding. Freedom is the thread of consciousness that links all beings of the universe. Consciousness is free and unbound. When we are driven or propelled by consciousness, we can only see the thread of love which is also the thread of freedom. Freedom is love and love is freedom. Differences and all lower emotions such as anger, hatred, jealousy, so on and so forth, are clear signs of operating in lower frequency. Choose higher frequency and let it shine forth in you and through you to the outside world too. All of us are potential masters, irrespective of our social conditioning. Thoughts Per Second (TPS) determines master-hood. Lower the TPS, you are a master of your own mind. Higher the TPS, you are bound by concepts of the world which are denying you inner freedom. Hence, inner silence despite compelling external calamities determines your stature. Remember, even if you are externally or socially bound, you can still be internally free. Let the wave of awareness unite the world beyond caste, creed, races, religions and differences. 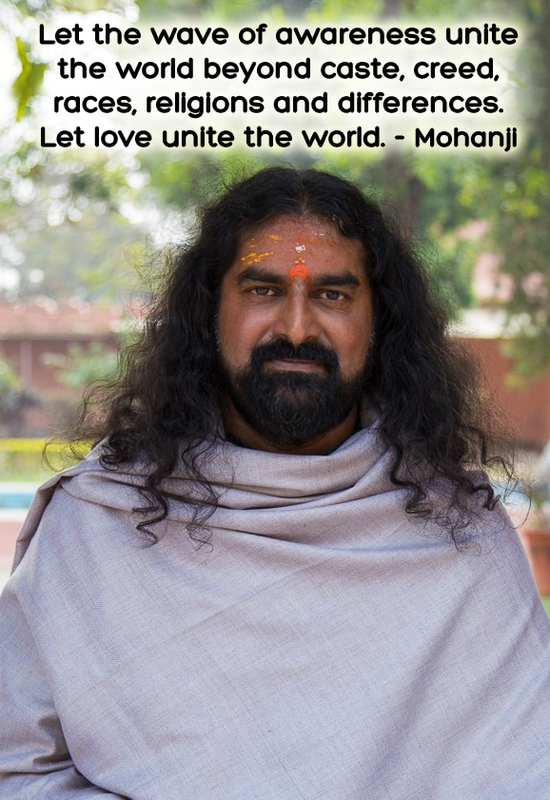 Let love unite the world. Let us not sponsor news of bloodshed and displacements of property and lives. Let every breath we take lead us and the society to more awareness and freedom. Remember, we are just visitors here. Sooner or later, we will have no signs of our existence on earth just like our great grand parents, who lived five generations before us. Please live in love and add love to our life. Kindly pardon me as I am unable to write to all of you individually, even though I would have loved to. Please accept my Best Wishes and Sincere Thanks for all the love that you are consistently showering on me each day. I love you through time too. 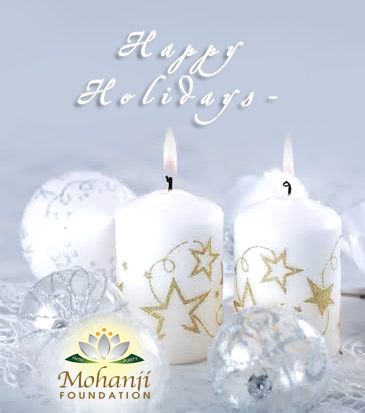 I wish you a great and fulfilling holiday season as well as a GREAT NEW YEAR. Mohanji,as i start my day here,it lifts my heart to read you message..Pranaam! Thank you! YOU are a shining light in our life. Very refreshing, thought provoking and the need of the hour. Unconditional Love is our true Nature as u say… Expressing love ❤ makes one free :D. So simply put. Thank you Mohanji for this post. Jai Gurudev. In the dust of Your holy feet!